I made it through the first week of school! This is the first time I can recall that we started on a Monday! A full week is tiring! I was a little nervous about these kiddos! They are know as "that group" at school. I was trying to keep positive all summer and not worry about it. I can say that they are a great group of kids! So I'll be on the look out for some tips & tricks because I've already had to dive into my bag! Here are a few things we did this week! My kiddos loved this activity! It was a great way to discuss teamwork! And voice levels...because they were a little loud! 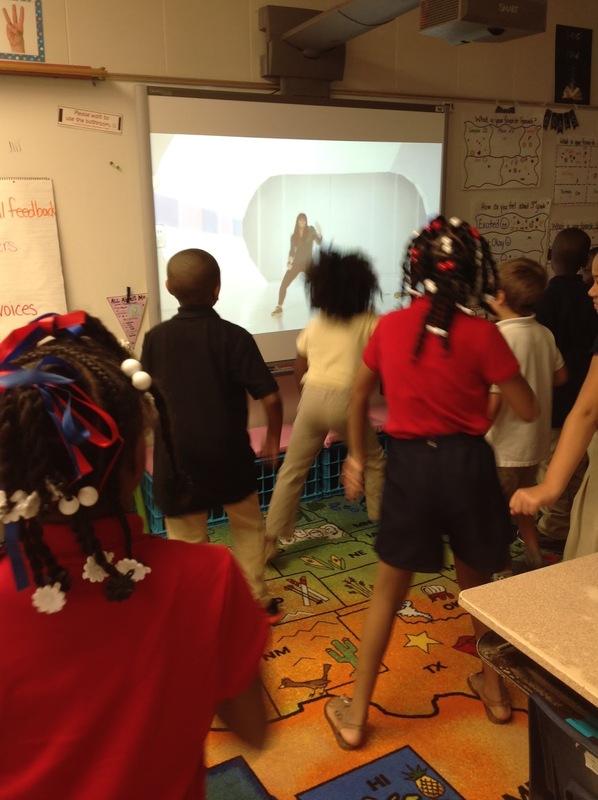 We did our first GoNoodle brain break! I see a lot of these in our future! 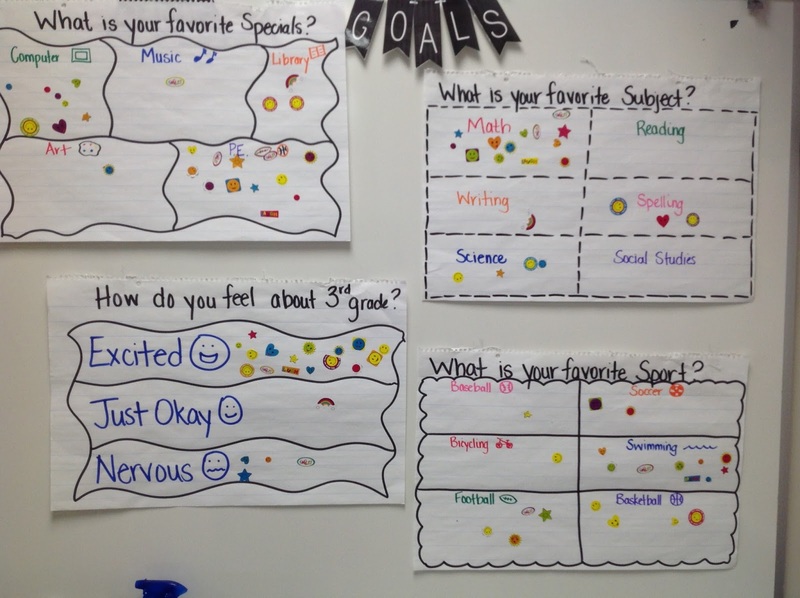 We did some graphing with stickers!! 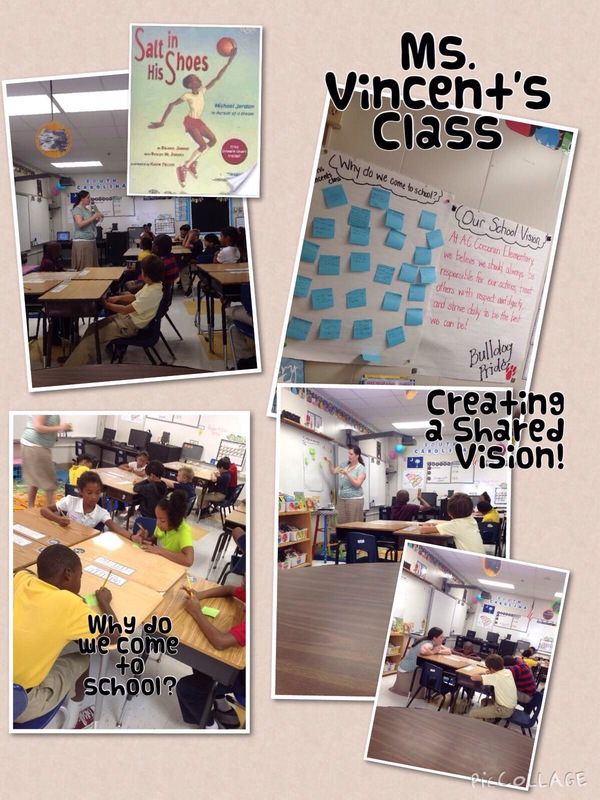 We created our class vision! I will post more about this next week! And lastly our school was challenged by another school in our area for the ALS Ice Bucket challenge! Here's a little snippet from a video. It was too big to post the whole thing. Sometimes the groups that are the biggest talkers are the ones I bond with the most. Brain breaks are great for everyone, but especially for those who have a lot of extra energy. Hopefully, they will help. Have a great year! Oh Nooooo! You've got "that group". I had "that group" a couple of years ago. I'm glad you like them. But be prepared to change it up often. "That group" gets bored easily, so a certain trick will only work so long with them before you need to get creative and move onto something new. That group! We had that group last year. I know all about the worrying. So glad that your first week went all. Keep up the positive attitude. You will be great and so will your class! I'm doing Save Fred for the first time on Friday. 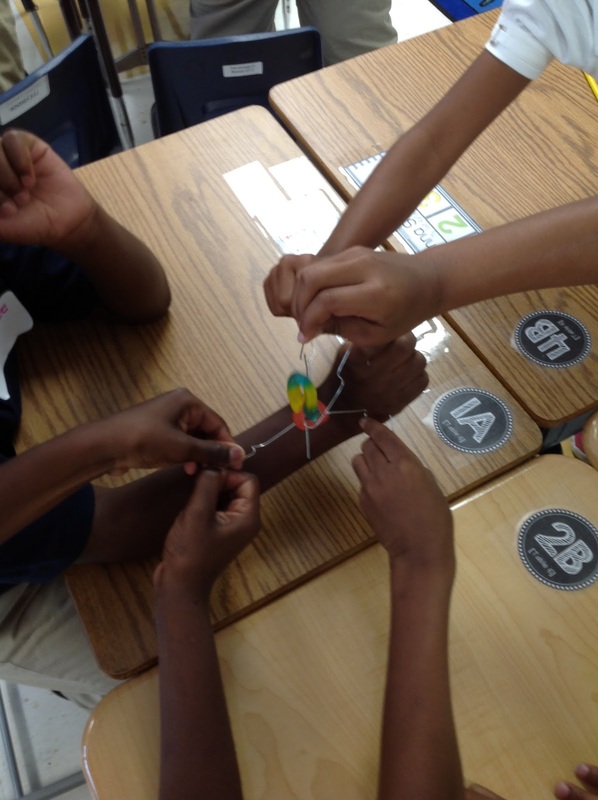 I'm pretty excited for those leftover gummy worms…I mean, lessons on teamwork! :-) How do you use the numbers on their desks? I'm always looking for new ideas! 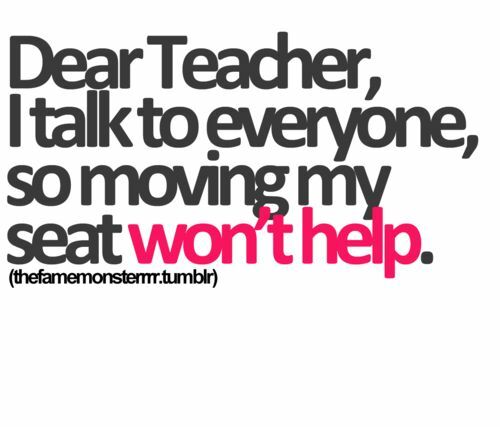 Hope they are less chatty now that you've had them for a couple of weeks! Wishing you a wonderful year! I can't wait to read more!